Benjamin Oliver is a composer, conductor, electronic musician and (sometimes) pianist. He has had more than fifty works performed by performers including Århus Sinfonietta, London Sinfonietta and the BBC Symphony Orchestra. 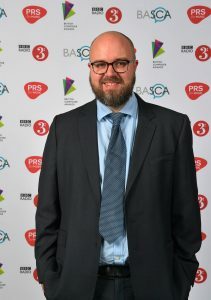 Ben is an Associate Professor in Composition at the University of Southampton and conductor of the Workers Union Ensemble.